Login through a customisable full-screen login form. Way more secure because credentials are passed only once and traded for an encrypted cookie that will eventually expire. Reliably log out by pressing a beautiful pink button that shows your name. Say goodbye to archaic workarounds: logging out from a HTTP Basic Auth session is tricky, and doesn’t work in all browsers. Tweak your security settings, no cluster reboot needed. Just hit the “Save” button and changes take effect instantly in all the nodes. No more keeping in sync all nodes’ settings files at all times. No more restarting all nodes one by one. Should a product manager be able to access the “Dev Tools” app? Does your sales team care about “Timelion”? Why even show these icons? 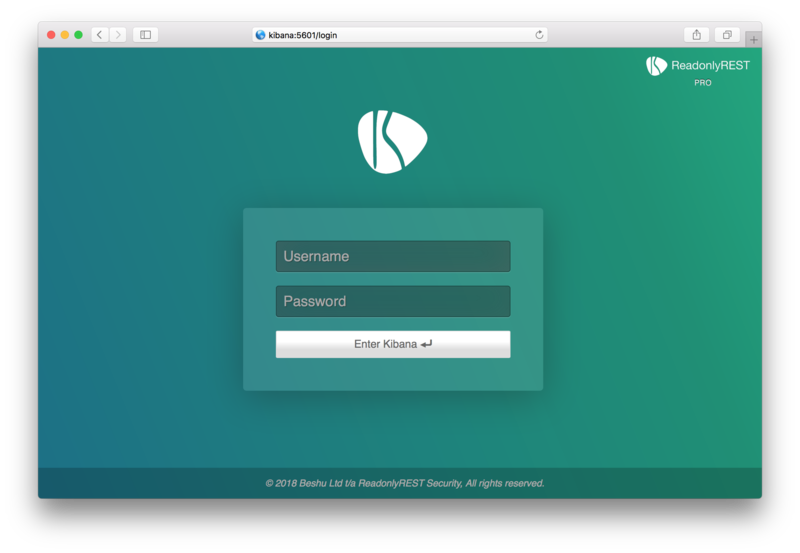 ReadonlyREST PRO you can hide and prevent access to Kibana apps on a user or group basis. 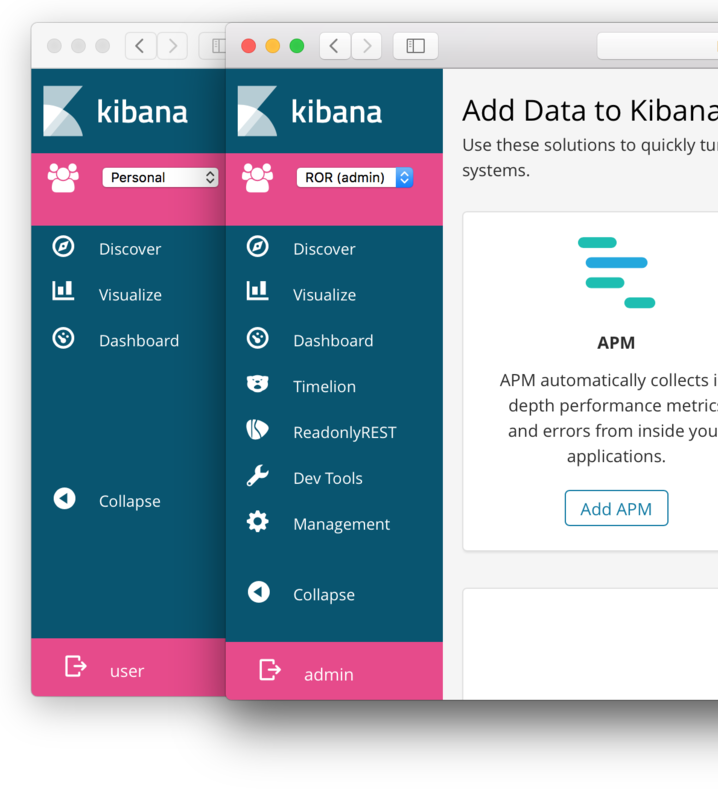 Once the subscription is created, you will be able to get the ReadonlyREST PRO plugin for Kibana via the self service download form. You will receive an email with instructions on how to download it and install it. The included download link is bound to your email address. Detailed documentation about configuring and using each feature can be found in the ReadonlyREST documentation. ReadonlyREST PRO, like all our products, will receive bug fixes and new functionality over time. All upgrades will be free to subscribers. Sales of ReadonlyREST PRO and Enterprise also benefit the community by ensuring that ReadonlyREST itself will remain well supported for the foreseeable future. 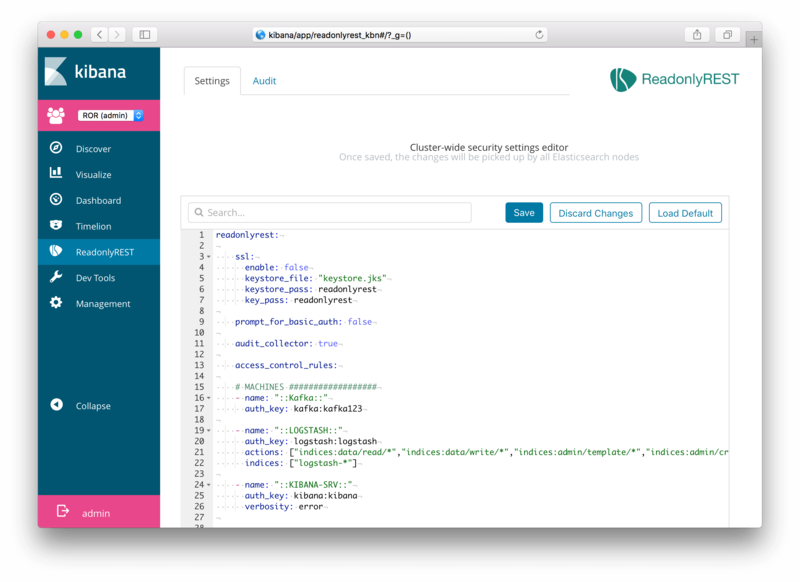 ReadonlyREST PRO is a commercially licensed Kibana plugin which cannot function without ReadonlyREST Elasticsearch plugin. The latter is freely available under the terms of the GNU GPLv3 license. This license guarantees that the code stays free and any commercial modification is contributed back. If this license feels too restrictive for your use case, just buy ReadonlyREST Enterprise: it will grant your organization a ReadonlyREST commercial license instead of the GPLv3, avoiding any legal issues your lawyers might raise. Please see the License FAQ for further detail on licensing including options for distributing ReadonlyREST Enterprise with your own products.